Ambiente Blog • Stylish spines. The cactus is dusting off its old image and making a triumphant comeback. It’s not just the plant that’s back, but its image on plates, cups and cushions or its outline in a variety of materials on accessories and decorative objects. This spiny plant is suddenly everywhere – it has left grandma’s windowsill far behind. Free from its old ways, the cactus has become the very latest trend. This trend knows no bounds, and as a desert plant the cactus can adapt in order to survive – that’s why it comes in so many different forms. Our favourite stand-offish succulents seem to loom from all corners of our interiors, with some of the biggest varieties known as candelabra cacti. What could be simpler than transforming a cactus into a candleholder? This candelabra by Arti e Mestieri is made of sturdy iron, in authentic green or other colours, and holds four candles. If romantic candlelight is not enough, you’ll find many types of lamp with the same look. This mighty fine table lamp from Hoff Interieur also apes the iconic cactus-with-branches, while a different type inspired these ceiling lights by Moser. Their hand-blown crystal glass lamps draw on the circular shape of the golden barrel cactus – a variety that grows to an impressive size over time and flowers when mature. It‘s the ideal inspiration for a lampshade! Indeed there are few decorative objects or accessories that aren’t adorned with cacti. These prickly partners pop up in large numbers on cosy cushions. This cushion by Eightmood not only looks extremely stylish, but we guarantee it’s actually soft, despite spiky outward appearances. Yet in spite of the omnipresent cactus aspect, less is still more. Stick to some simple, selected spiny shapes or you won’t be able to see the cactus for the trees. Kare Design’s vases show us how stylishly we can incorporate the cactus motif into our living space. Their deep green is particularly potent and eyecatching in combination with muted colours, pastel shades and wood, as well as with black. You’ll even find cacti breaking out at the dinner table. On tablecloths and crockery, suddenly there‘s an epidemic of spiny motifs. We love these cute glasses by Doiy Design: they look like a large cactus when you stack them. Did you know, cacti are also making waves in food and drink at the moment? Coconut water is so yesterday. These days, if you want to keep in trim and stay healthy, cactus water’s the thing. It’s also said to help with hangovers. How about slurping some through straws made for the occasion by Ginger Ray. Plates are also showing signs of the cactus invasion. 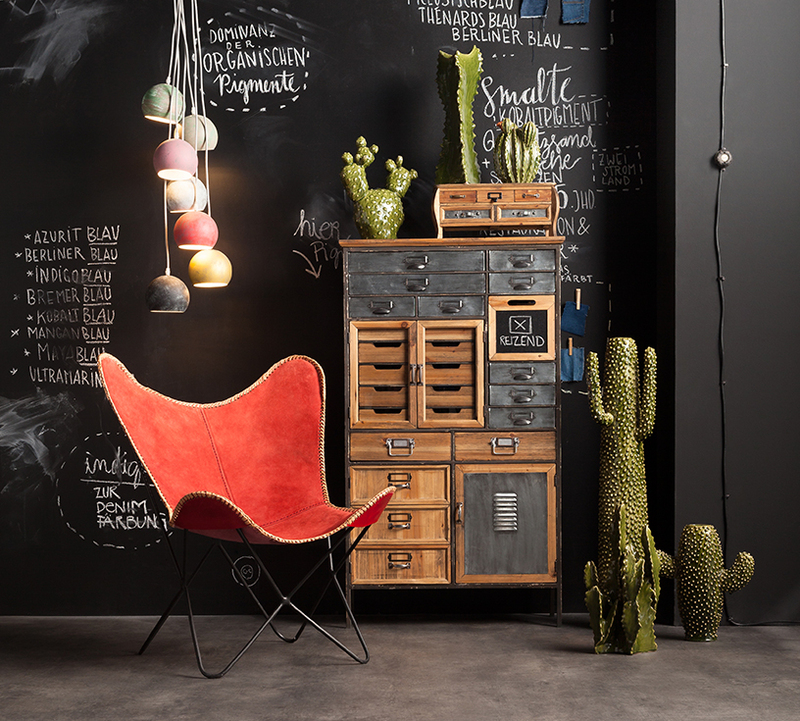 Bloomingville adds a touch of the exotic with its watercolour-look cactus. On a salt and pepper shaker, on a tin and all over the table, there are hardy green desert plants for your delectation. It’s that easy to bring a hint of the Texan desert into your own home. Did we mention you shouldn’t overdo it? Simply let a few choice pieces to set the tone for your tableware. 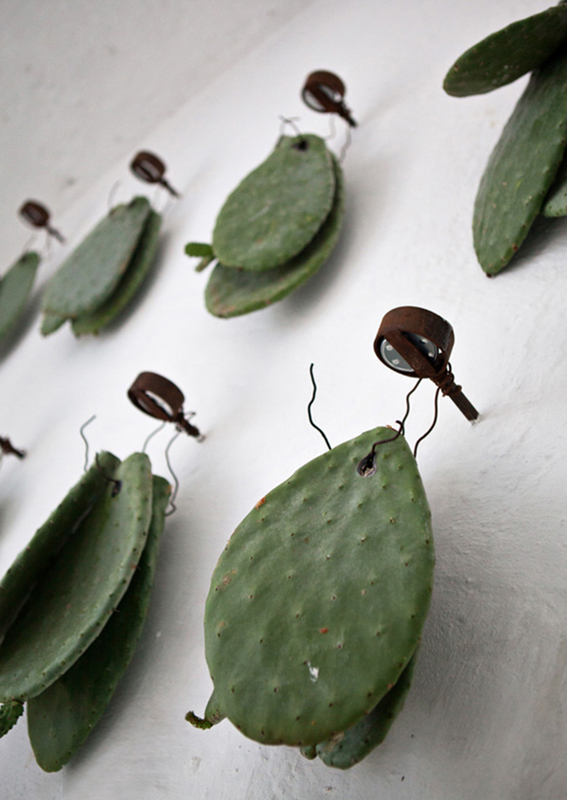 Bars like the Hotel Masseria Cimino are also betting big on the whole cactus trend. 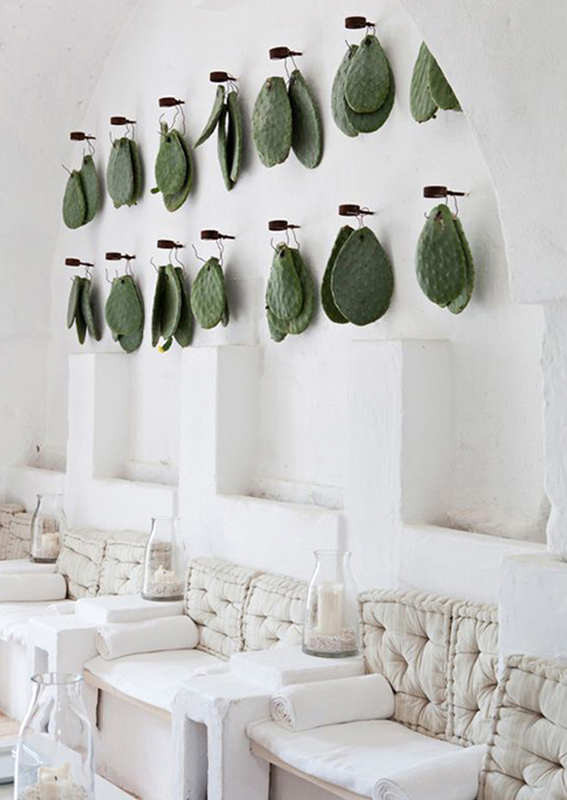 This hotel in Fasano, Italy, has rooms and a hotel bar flanked with cacti: the contrast between their white walls and the deep cactus green really offsets these desert beauties. We need to find out if they also serve cactus cocktails! Cacti serve as playful visual companions throughout our everyday existence. Patches like these from Ban Do make an instant on-trend look, turning old clothes into new favourites. This beaded bag by Sweet Deluxe will smarten up any outfit, and prove the ultimate eyecatcher. Or how’s about a bracelet to show your appreciation of all things cactus? This fine trinket by Mint comes in silver or gold, and is as smooth as it is stylish. For real cactus kids, we’ve also got a quirky pencil case and a cute poncho with guaranteed appeal. 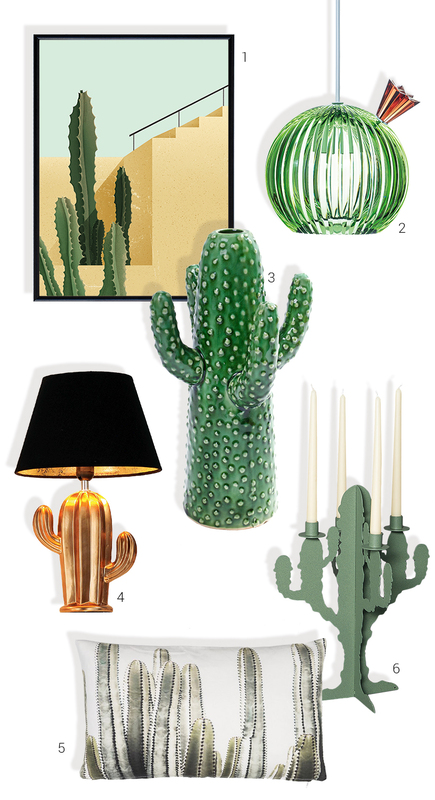 Looking at the amount of accessories available, we’re pretty sure cacti are here to stay. They provide multiple shapes, instant ideas and creative inspiration for interior design. As the sun sets over the desert plain, there are cacti as far as the eye can see.